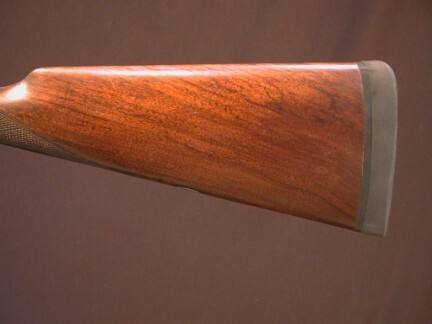 H.ADKIN, BEDFORD, 20 Bore, BLE, 2 3/4", with modern London Nitro Proof in 2000. 28" choked Cyl/Mod. 14 5/8" lightly figured wood to black recoil pad. 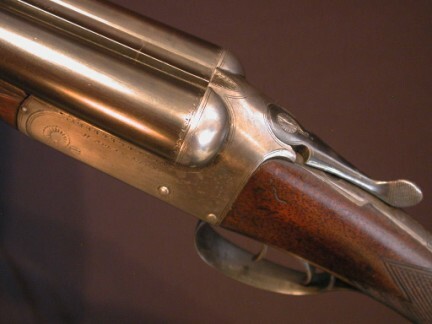 Modest border engraved action has gone grey but does retain traces of case colors and features Southgate ejectors. A dainty and beautifully balance 5lbs 7oz. Cased in a vintage canvas and leather case.